I needed a few birthday cards and this is my go to set. The stamp set is called Wonderful Moments and is perfect for a variety of occasions. I love that you can color and personalize the lady. 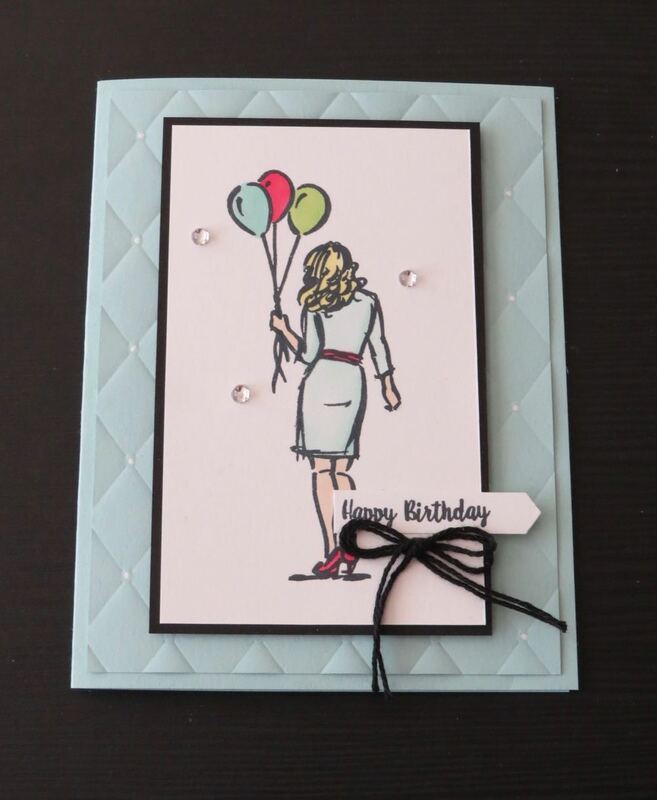 I love coloring these images with Stampin' Blends that come in a variety of colors. My image was stamped with Black memento ink on Whisper White card stock and colored with Pool Party, Granny Apple Green, Real Red, Ivory, and Light Daffodil Delight Stampin' Blends. 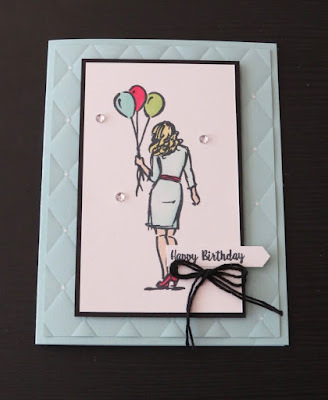 I created a fun background with Tufted Embossing Folder and a Chalk Marker. Here's the supply for the card. Click on a picture below to place an online order.